Paweł Jędrzejczyk lost on points after hard battle with Richard Abraham. Here’s what he wrote on his profile after this event .. I was very well prepared and mentally oriented, so there is no question of any excuses. I know this “business” and it happens that sometimes it fails. “Everyone has a plan to fight until he gets hit.” Mike Tyson knew what he was saying … As I promised, I left my heart in the ring and some health … I am proud that I could represent our country at such an event. I did not show the full possibility, but at least I did not let it break. I need to find some positive sides because otherwise you can not go any further. I am counting on the chances of fighting for Glory that I have yet to get. Three consecutive defeats do not look the best on paper, but I do not feel that this is the end. It’s the best and the second counting on 27 professional fights is NOTHING. He gives himself time to change his surroundings and habits. I am convinced that my decisions are right. I would like to thank Łukasz Banach and his fiancé for accepting us in their home as a family. Łukasz did a great job so I could fight here and take care of everything I needed during the preparations. I will never forget it! 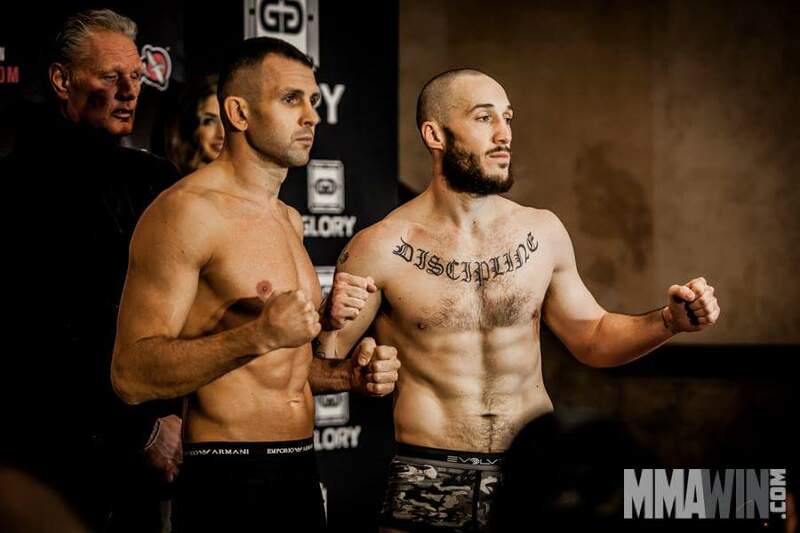 Paweł Jędrzejczyk vs. Richard Abraham on Glory 27 Chicago Thank you, Czarka Podrazie, for everything! I would like to thank Bogdan Maciejczyk and Andrzej Foncier for their help in promotion and training. I’m glad that I could meet you. Thank you to all Poles who came to cheer me on. I thank those who got up in the night because I always wanted someone to get up for my fight … Thank you, father, that he always cheers, helps me and is with me during the fight and not only. You are part of this game .. It was an incredibly important event in my sporting life. I do not regret anything. I WOULD NOT BE SUCCESSFUL AND WILL RETURN! … but now I’m going back to my beloved wife and dog.